Create a student community specialized in different areas, consolidate it with SmartCash community and in the long term, contribute ideas and projects that benefit SmartCash. Who Am I? What do I bring to table and what’s my goal here? + My current/Past SmartCash related experience. My name is Mariluna de la Concha @marilunabella4, I’m a Venezuelan, Systems Engineer and I live in Mexico, I entered the world of cryptocurrencies around 3 years ago, and I fell in love with SmartCash, it is a very attractive crypto for beginners and for crypto enthusiasts. Everyone can see me on my social networks, YouTube and Steemit, where I appear as @marilunabella4. The world of cryptos is my passion. I’m Michelle Sunza aka @mich.sunza, Business Development and Innovation Engineer. I like vegetarian food, writing, photography, research, languages and internationalization. I have been involved with cryptocurrencies since August 2017. And 100% with SmartCash since January, supporting @Oucan in the Smart Fridays and working in the Talent Land event, on the administration of human resources and providing the workshop “Integration to the community of SmartCash, design and development of proposals”. Deliverables / Job description of the proposal. 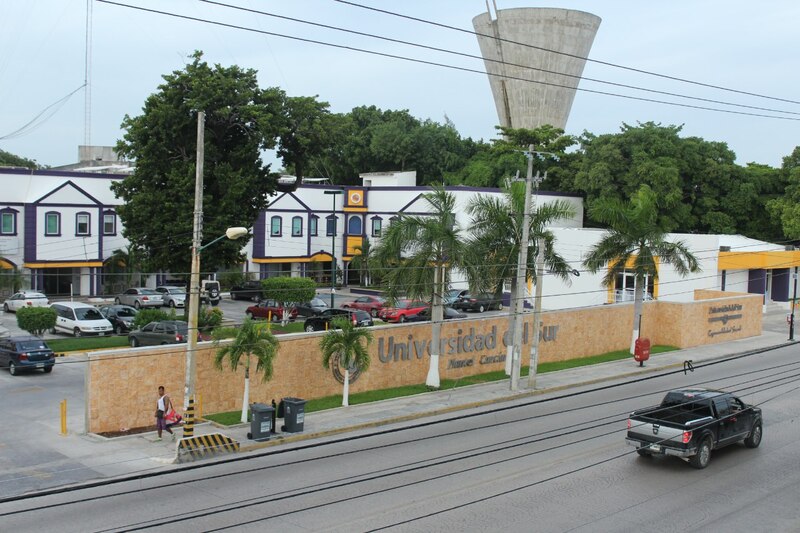 The event will be held at the Universidad del Sur, in the city of Cancún, in Mexico. A. Blockchain and SmartCash conference. Theoretical part. B. Workshops aimed at various specialties. Practical part. Taught by a team of six people. A. Conference: Learn about Blockchain and SmartCash. Date: Monday, May 28, 2018. Place: Auditorium of the Universidad del Sur, with a capacity of 400 attendees. For Students and public in general. Questions and answers section. 10 minutes. Blockchain types and their applications. Pause 30 minutes. Time for the Coffee Break. Duration: 2 hours. After the event. It is a face to face space for the student where they will solve their doubts, and help will be provided in any of the topics. There will also be dynamics to get t-shirts, keyrings and SmartCash. The dynamics will allow the student to interact with the SmartCash community. The most important thing is to put the theory into practice, thats why we have considered workshops aimed at student fields. B. Workshops aimed at various specialties. Duration: 10 total hours. 2 hours for each workshop. Date: Tuesday, May 29 to Friday, June 8, 2018. Place: Classrooms of the Universidad del Sur, with a capacity of 30 attendees per workshop. Financial: Opening your wallet + purchase and sale. Taught by: Eng. Mariluna de la Concha and Eng. Michelle Sunza. Systems and networks: SmartNodes and Mining. Taught by: Eng. Abelardo Dzib and Eng. Mariluna de la Concha. International transactions: Remittance mode. Taught by: Eng. Mariluna de la Concha. Entrepreneurs - Integration into the Community, Design and Development for SmartCash Proposals. Taught by: Eng. Michelle Sunza and Eng. Omar Ucan. 15 minutes break. Time for the Coffee Break. What are the possibilities in the future of continuing to work with Universities? We are working to propose in other Universities in the region. What kind of promotion you will use? The event will be promoted through social networks: Facebook and official SmartCash Twitter in Mexico. Additionally, flyers will be used to invite the student community and the public in general. Why did you choose those speakers? Saul Quiñones is one of the most important financial analysts in Cancún talking about cryptocurrencies, involved in issues of the Fintech Law. (radio and print interviews). George Crewe is a pioneer in the promotion of Blockchain technology in Cancun. Omar Ucan, SmartCash Ambassador in Mexico, initiator of the Smart Fridays and the Talent Land 2018 proposal. Abelardo Dzib is an engineer in systems and information technologies, specializing in Smart Nodes configuration and technical support. With this proposal we will have a positive impact on the SmartCash community. Focused on the students, since, education in Mexico does not include this type of topics. First, it is important to inform about technology and what it represents in the future. And, second, that university students in different fields are given the opportunity to demonstrate their skills, their versatility and, in the short term, the improvement of work teams for proposals and ideas in the community.